Senate Republicans rejected more than two dozen amendments offered by Democrats to the budget bill Monday. Those rejected proposals included limiting voucher dollars to schools that discriminate, expanding the state’s recently signed hate crimes law, and forgiving a loan taken out by East Chicago schools to move more than 450 elementary school students from a contaminated site to an empty middle school. Sen. J.D. 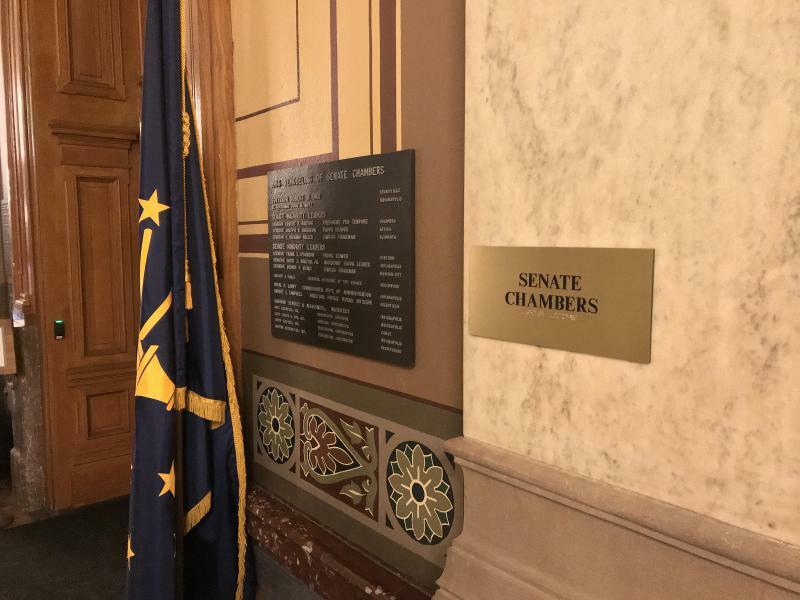 Ford (D-Indianapolis) offered the amendment limiting voucher dollars, which he says is in response to Roncalli High School’s treatment of counselor Shelly Fitzgerald because of her marriage to a woman. “The school is free to practice its own beliefs, free from government interference – with its own money,” Ford says. Senate Republicans also rejected an amendment to forgive a $3 million emergency loan taken out by the School City of East Chicago. After soil was found with dangerously high levels of lead and arsenic near Carrie Gosch Elementary, the school district moved 450 students to an empty middle school, which had to be renovated for the younger children. Sen. Lonnie Randolph (D-East Chicago) says the state should forgive the loan. “So if you did it for the charter schools, do it for a public school. Give us this opportunity to get on our feet,” Randolph says. That amendment was defeated 39-9. It's common for the majority party, whether Republican or Democrat, to reject most – if not all – of the minority party's amendments to the budget bill. The Senate will vote on the budget Tuesday. The state revenue forecast will be released Wednesday. CORRECTION: A previous version of this story said Republicans rejected nearly 20 Democrat amendments. That was incorrect. There were actually 25 amendments rejected.